United Nations peace operations can derive their authority from three sources: the peace agreement, the mandate and the relevant UN Security Council resolutions. A peace agreement might invite external verification, or alternatively the parties themselves might invite a trusted agency like the UN to oversee implementation of the agreement. A theoretical ceasefire is usually established by the peace agreement itself and the parties will be held to it by the UN. The agreement might also establish a power-sharing arrangement in the form of a transitional government. Ensuring stability during the transition is the principle focus of a UN peace operation. The Security Council provides any authorized UN intervention with a mandate that sets out the tasks that the operation is to undertake while it is deployed. The mandate is the platform on which each UN peace operation is based. Back in 2000, a panel was tasked with assessing the shortcomings of the then existing peacekeeping system and making specific and realistic recommendations for change. It has been stated in the resulting Brahimi report and follow-up reports that peacekeeping should be used as ‘part of a political solution, not an alternative’. The problem is that the Security Council is a political body, meaning that operations are sometimes used as an alternative to a political solution — deployed into places where there is no peace to keep. This is because the Council wants to be seen to be doing something — the deployment of a peace operation is all too often that something. Clarity and brevity of mandate are a rarity. It is now not uncommon for peacekeeping mandates to run for several pages. The mandate for the United Nations Organization Stabilization Mission in Democratic Republic of the Congo (MONUSCO), for instance, contains 41 separate tasks. It can be argued that these Christmas wish list mandates, which currently guide many UN peace operations, divert attention away from the core priorities of the mission — the establishment of security and the nurturing of the political process. Pragmatic mandates are obviously going to be more achievable as they place downward pressure on the expectations of the host-country government and the local population. When conflated expectations are not met a loss of credibility is inevitable. Mandates should also be reflective of an active political strategy. In simple terms, strategy formulation is a case of thinking before doing. The Security Council, however, usually under pressure of events on the ground, very rarely has a chance to formulate a strategy before establishing a peace operation. Instead, most missions are forged out of the “political and organisational pressures” of the day and engendered with “a culture of ad-hoc decision-making in a climate of constant crisis”. And missions operating under the pressure of events tend to neglect the element of political strategizing, and instead exhibiting a tendency to lurch from one crisis to the next — in fire-fighter mode. A strong argument can be made for the formulation of more realistic and streamlined mandates — or what Former Secretary-General’s Special Representative Ian Martin has described as “designer missions”. Martin’s concept advocates a context sensitive approach, whereby missions are “designed according to the particularities of the peace process or conflict management objective they are to support, with maximum flexibility and scope for innovation”. The problem with many UN peace operations is that they rely too heavily on template approaches, rather than country specific ones. One of the best examples of the designer mission concept was the UN Observer Mission in El Salvador (ONUSAL), which deployed to El Salvador in the early 1990s. The mission itself was established incrementally to support the peace process between the El Salvadoran Government and the Farabundo Martí National Liberation Front. Interesting for its time, the mission was actually deployed ahead of a formal cease-fire agreement being signed. This was done to build confidence between the parties and among the Salvadoran population. The first component of the mission to be instituted was a small human rights division. The deployment of the preparatory office to San Salvador basically assured an on-the-ground verification role for the UN in El Salvador. The bolt-together multidimensional operation possessed four components — human rights, police, military and electoral — each established at difficult stages of the operation. ONUSAL was given a pioneering compliance monitoring mandate verifying military disengagement, public security reforms and human rights protection. ONUSAL wasn’t perfect, but it was reasonably well matched to the peace process. Designer missions prioritise certain tasks at certain stages in the mission’s lifecycle, while retaining a political core at all times. At the start of a mission, providing security is paramount. In the initial phase, the use of vanguard forces to robustly deter spoilers may be required, as INTERFET achieved in East Timor. The disarmament, demobilisation and reintegration (DDR) of former combatants might then need to be prioritised, along with Security Sector Reform (SSR). These priorities should reflect the priorities of the peace process, at any given time, rather than the whims (or pet projects) of the Secretary-General’s Special Representative or the wider mission leadership team. As each mission mandate is circulated, it inevitably becomes laden down with diverse tasks — human rights, women, children, DDR, SSR, police, criminal justice, or the preservation of cultural heritage. All are noble enterprises, but not all are necessary at every stage of a mission’s lifecycle. Streamlined mandates built on the basis of flexibility and context-sensitivity could improve the ability of UN missions to do their jobs. The argument is one of scope: what should missions be doing? Is the Security Council too ambiguous with the crafting of its peace operations mandates? 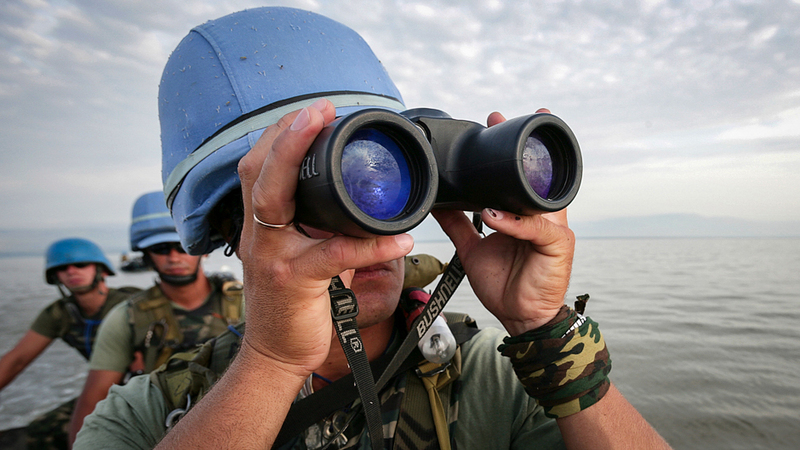 Are peacekeeping missions too ‘heavy’ to function effectively over long periods of time? These are key questions that might need to be answered, as a further expansion in the demand for peace operations continues. Perhaps, a Brahimi Report II might be in order? An Argument for More Focused UN Peacekeeping Mandates by Peter Nadin is licensed under a Creative Commons Attribution-NonCommercial-ShareAlike 4.0 International License.